For most sixth forms or Further Education colleges you will need specific grades to be accepted on the courses you applied for. If you just miss out on a grade, you can speak to the sixth form or Further Education college to see if they will still accept you with the lower grades, or they may offer you a place but on a different subject or course. It’s always best to collect your own GCSE results from your school on the day, as that’s when teachers will be around to give you advice if you don’t get your desired results. If you have just missed out on a grade, or you don’t think the grade you achieved reflects your ability, you can ask for your paper to be remarked. Your school will be able to help you arrange this, but you will have to pay a fee which is only reimbursed if examiners change your grade. If you have failed and you’re worried that you’ve really blown it, don’t worry, there is a second chance. Retakes for Maths are available in November. For English and all Science IGCSEs you can take the exam in January. Sadly you will have to wait until next June if you have to resit other subjects. If the college you had in mind won’t accept your lower grades, it’s worth speaking to other colleges offering the same or similar courses and find out what their entry requirements are. They may accept the grades you’ve got and offer you an opportunity to re-sit and improve your English and maths grades. If I don’t get into sixth form or college, what else can I do? Apprenticeships offer an opportunity to gain paid employment and work experience whilst studying for a qualification. There are many schemes on offer and you may find that practical hands-on learning suits you. There is also the added benefit of having a money in your pocket each month. There are a wealth of opportunities to explore, and some schemes will offer a starting salary of £14,000. If you don’t have the skills for an apprenticeship, that’s not an issue. Traineeships are available to anyone aged 16 to 24 and provide the essential work preparation training that is necessary to secure an apprenticeship or employment in the future. You don’t need to attend school or college to sit exams. You can enter at exam centres as a private candidate. If you are following this route, and many thousands do every year, then it is best to follow a structured programme of study with tutorial support. This is something provided here at Absorb. What is the new 9-1 grading system and how will it affect me? Last year, the 9-1 grading system was only used in English language, English literature and Maths. This year, it will used in 20 more subjects (see below for a full list). The new scale will be phased in to all other GCSEs over the next few years. 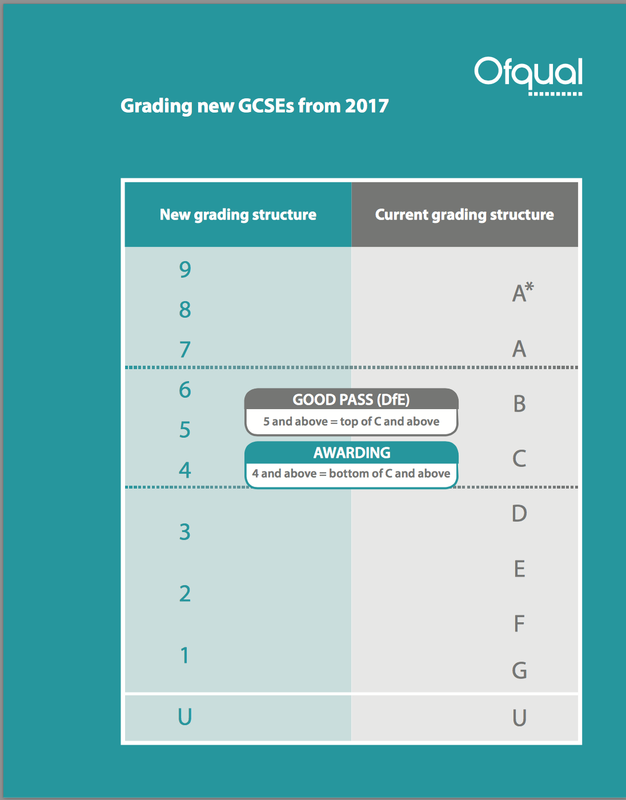 The new scale is a dramatic shift away from the A*- G system that students, parents, and teachers have been familiar with for decades, but exam boards say it is “anchored” in the old A* – G system. The bottom of a grade 7 is equivalent to the bottom of a grade A, for example, and the bottom of grade 4 is equivalent to the bottom of a grade C. The bottom of a 1 is aligned to the bottom of a G.
The government expects, therefore, that a pupil who scored a C or above under last year’s grading scale will receive a 4 or above. The government introduced the scale to inject more rigour into the exam system, and to allow for more differentiation among the highest-achievers. Could you help aeroplanes to land safely? Air traffic controllers make sure that planes travelling through the UK take off, land safely and are a safe distance apart. They also respond to any emergencies that arise – they’re the traffic wardens of the skies. Qualified air traffic controllers take home up to £50,000 a year and senior controllers can make up to £91,000. While you’re a sponsored trainee controller at college you usually earn about £10,000 a year. During on-the-job training, this goes up to between £15,000 and £19,000. How do I become an air traffic controller? To become a fully qualified controller, you will need an air traffic control licence, which you can gain by completing an approved training course. Could you lead a construction team and make sure everything gets finished on time? Project managers plan and manage all kinds of business projects. They make sure work is finished on time, as agreed, and within budget. You can find them in almost every type of industry – from looking after building projects to introducing new departments to big businesses. What’s it worth? It depends on experience, the industry and the size and type of project, but you can expect between £25,000 and £50,000 a year as a project manager. Top project managers can take home £80,000 or more. How do I become a project manager? You can start by working in a project support team and work your way up, or manage smaller projects as part of another job. It will help if you understand PRINCE2 (projects in controlled environments) methods or specialist software such as MS Project or Workbench. Could you sell sand in the desert? Sales managers lead teams of people who sell products and services. You might work for a record label, selling music into record shops, or for a telesales company that sells insurance. The list is endless – if there’s something that can be sold, a company will need a sales manager. Salaries vary, starting at about £18,000 and reaching up to £70,000 and beyond. You will often earn commission (extra payment depending on how much you sell) on top of what is called your ‘basic’ salary. How do I become a sales manager? 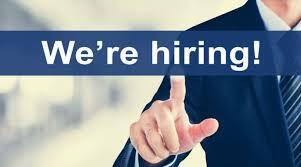 You’ll need experience in sales – and have a good record of achieving targets. You won’t necessarily need specific qualifications (aside from a grade C or above in English and maths), because it’s more about your personality – how outgoing, persuasive and likeable you are. Personality counts for a lot in the world of sales and marketing. Could you help someone shine at work? Training officers help people get better at their jobs by organising and running training sessions. They look at the skills employees are lacking and the kind of things they need to know to do their jobs well. If you start as a training assistant, you can earn between £16,000 and £18,000 a year. Full training officers earn between £20,000 and around £30,000, while for training managers this can reach £50,000. How do I become a training officer? You can work your way up from a training officer or personnel position by gaining experience and a professional qualification such as those offered by the Chartered Institute of Personnel and Development (CIPD). Think driving trains sounds like fun? It’s also well paid! Train drivers carry passengers and cargo around the county on local and national rail networks. Trainee train drivers earn about £17,500 a year. Newly qualified drivers can earn more than £30,000 a year and this rises to £40,000 with experience. You’ll also get free or reduced price rail travel! Good news! You don’t need any specific qualifications to become a train driver – although C grades or above in GCSE maths and English will help. Train companies often recruit from within their workforce, so a good way to get your foot in the door is by finding a job working in another role, such as rail maintenance, and applying for train driver jobs as they come up. Got a big, friendly smile and positive attitude to match? Put them to good use as a customer services manager! 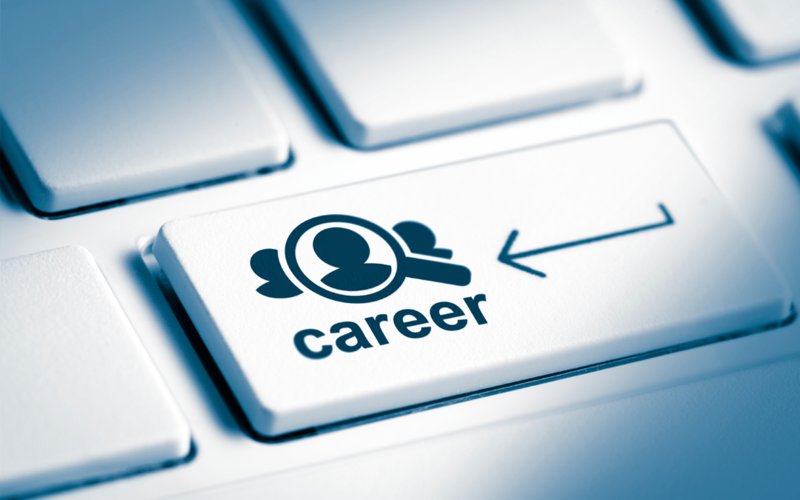 In this role, you’ll make sure that a company’s customers feel happy and well treated. You’ll deal with clients or shoppers, lead the customer services team, and might even develop rules and regulations for employees to follow when dealing with the public. At entry-level, customer services assistants earn up to £18,000 a year. When you become a customer services manager this increases to about £25,000 and can go up to £40,000 with experience. You’ll need to start as a customer services assistant and work your way up. People with good customer service skills are always in demand, so there are lots of career opportunities down the line. You don’t need formal qualifications – good people skills, a positive attitude and experience are more important. Great at organising people and coming up with clever plans? Supply chain managers – also called logistics or distribution managers – make sure that goods and materials from manufacturers and suppliers reach shops and businesses as quickly and efficiently as possible. It’s an important job – get it wrong and customers can’t buy the products they need and a business will lose sales. Starting salaries range from £18,000 to £22,000 a year. With experience and promotion to manager level, you can earn between £25,000 and £40,000 – while for senior supply chain managers this can rise to £60,000. You can start out as a transport clerk – arranging times for the delivery of goods – and work your way up in the company. Alternatively, take a logistics qualification in supply chain or transport management and start applying for jobs. Would you like to save lives and fight crime? A police constable helps to keep our streets and communities safe. They look out for suspicious behaviour and investigate any criminal activity, with the aim of preventing it before it’s happened or catching the people responsible. As a PC, you could work in a police station, behind a desk, or out on the streets. The starting salary for a police constable is roughly £20,000. This increases to nearly £36,500 over the years. If you get a promotion to inspector or above, your pay packet will grow considerably. How do I become a police constable? All police officers need good literary and communication skills, but having a willingness to learn on the job is most important. You’ll also need to be in good health, free of any offensive tattoos and be at least 18 years old. Got the drive and know-how to bring your business ideas to life? Entrepreneurs are brilliant businessmen and women who set up innovative companies and come up with concepts for new products. That depends on how successful your business is – it could be millions of pounds! You don’t need any specific qualifications to become an entrepreneur, but you’ll definitely need a bagful of good ideas that you think you can turn into a business venture. A GCSE or A-level in business studies might help as well. If you have an idea for your business, get as much help and advice as possible to make it happen. You need to research your target market, identify your competitors and work on making sure you know your product or service inside out. Want to be the hero who saves someone’s life? Firefighters protect people in the community from fire and other dangers. They rescue people from burning buildings, extinguish fires and, yes, sometimes get cats down from trees when needed! Firefighters earn between £21,000 and £28,200 a year. If you get promoted to crew manager you can earn around £31,300, while station managers can make between £36,000 and £40,100. You usually need to be at least 18 years old to become a firefighter but if you are under this age you might still be able to get involved by joining a Young Firefighters Scheme in your local area. You will need to contact the chief fire officer at the fire station you want to join for details of their requirements. Typically, you will need a good standard of education (GCSEs or equivalent) and a reasonable level of fitness. What they do*: Accounts clerks (also known as finance clerks or bookkeepers) keep financial records and help to prepare accounts in all types of business. What they need: You will find it helpful to have previous experience of office work. Above all, you should feel confident with maths and using computers. Employers may prefer you to have some GCSEs (A-C) including maths (or a similar level of qualification), although entry requirements may vary. What they earn: Starting salaries: £12,000 to £16,000 a year. With experience: £20,000 to £22,000. What they do: Receptionists are the first point of contact for an organisation. They work in all kinds of settings, including businesses, schools, hospitals and sports centres. What they need: You may not need any qualifications to start work as a receptionist. However, some employers will prefer you to have GCSEs (A-C), particularly in English and maths. Clerical, secretarial and IT skills will also be useful. What they earn: Between £12,000 and £17,000. With experience up to £20,000 or more. What they do: As a medical secretary, you would provide administrative support to hospital consultants or departments, GPs, health service managers or medical researchers. What they need: You will need good typing and computer skills, so you may find it helpful to take a general secretarial or medical secretarial course. Employers will expect you to have a good standard of general education, and you may have an advantage with some GCSEs (A-C) including English. What they earn: Salaries in the NHS are between £14,834 and £21,318 a year. What they do: As a customer service assistant or adviser, you would be to handle customer enquiries and any complaints, face-to-face, over the phone or by e-mail. What they need: Many employers will consider your ‘people skills’ to be more important than your formal academic qualifications, although you should have a good standard of general education. What they earn: £13,000 to £19,000 a year. What they do: Waiting staff serve customers by taking orders, serving food and preparing tables. An important part of the work is to make customers feel welcome and comfortable during their meal. What they need: You will not usually need any specific qualifications to work as a waiter or waitress, but you will need a good standard of maths and English and excellent ‘people’ skills. What they earn: £11,000 to £14,500 a year, with experience up to £19,000. What they do: As an engineering maintenance fitter, you would service and repair machinery and equipment in a range of industries, including transport, manufacturing and aerospace. What they need: You may be able to get into this work through an engineering Apprenticeship. Therefore, you may need GCSEs (grades A-E) in subjects such as English, maths, science and technology. What they earn: Starting salaries: £15,000 to £20,000, with experience to £30,000. What they do: As a fitness instructor, you lead and organise group and individual exercise programmes to help people to improve their health and fitness. You may also give advice on healthy eating and lifestyle. What they need: To qualify as a fitness instructor, you could either complete a nationally-recognised qualification before starting work, or start as an assistant instructor and complete work-based qualifications. What they earn: Starting salaries are around £13,000 a year. With experience: up to £20,000. Freelance instructors can earn £10 to £20 an hour. What they do: Healthcare assistants (also known as support workers, nursing assistants, or nursing auxiliaries), assist healthcare professionals with the day-to-day care of patients, either in hospitals or in patients’ own homes. What they need: You may not need any qualifications, but you may need previous experience (paid or voluntary) in a caring role, especially if you plan to work with people who have mental health issues or learning disabilities. What they earn: Starting salaries: £13,000 to £16,300 a year, with experience up to around £18,200. What they do: As a sales representative or ‘rep’, it would be your job to sell your company’s products or services. You would be responsible for finding and winning new customers, as well as looking after existing customer accounts. What they need: Employers will expect a good standard of general education, but they are often more interested in your sales skills and track record than your formal qualifications. What they earn: Starting salaries: £15,000 to £20,000 a year, with experience: £35,000 to £40,000. What they do: As a care assistant, care worker or social care worker, you would provide practical help with daily activities to people with a range of difficulties. You could work with children, people with physical or learning disabilities, older people or families. What they need: It would be useful to have experience in a caring role, perhaps through volunteering or with your own family. Previous experience is likely to be essential if you plan to work with people who have mental health issues or learning disabilities. What they earn: Starting salaries: £12,000 to £16,000 a year. With experience: up to £21,000. Can you teach a subject you didn’t take your degree in? Most teacher-training providers like you to have a minimum of 50% of your degree that is relevant to the subject you wish to teach. You may want to look into studying for a SKE [Subject Knowledge Enhancement] course. SKE courses are available at universities, schools and through third parties across the UK. “Some can be completed before your teacher training or maybe delivered in parallel with some or all of your training,” she says. Experts add that it’s worth gaining experience in a school before applying to teach in order to boost confidence prior to training. Can you still become a teacher if you don’t have a GCSE C or above in maths? What options are there to earn a salary while training to become a teacher? There’s a variety of ways to ensure your bank balance doesn’t suffer as you undertake your studies. Graduates with a 2:1 degree or above can do Teach First over two years. You’re paid as an unqualified teacher for the first year and then as a newly qualified teacher in the second year. You receive leadership development training and have a coach or mentor as part of the programme. Essentially, there is a six-week training programme over the summer and then you get stuck into teaching. You can resit any of the A levels sat in summer 2018, whether they were new linear, or old modular ones. If you sat a modular A level this summer you can retake the same modular exam in summer 2019. If you sat a new linear A level, you can resit that too. If you want to retake an A level you took earlier than 2018 life is a bit more complicated: you may find you can only retake the subject in its new linear form. If you took a new linear exam in summer 2018 you can retake it in summer 2019, but you have to resit the whole exam. The only exception to this is coursework, which you won’t be forced to redo – you can ask for your old coursework mark to be ‘carried forward’. You can only retake in the summer (January exams disappeared years ago), but you can retake just the modules you need to rather than having to redo the whole exam. If your modular A level was in a subject being examined for the last time in summer 2018, summer 2019 is the very last time any resit module papers will be set, and only those who took the full modular A level before can enter for the summer 2019 modular exams. The exam boards will recalculate your modular A-level grade taking the best marks you have achieved for each unit, no matter when or how often those units were taken (so long as all the units came from the same exam specification). You might think it better to retake all the units anyway, but bear in mind that you’ll still have to work hard to improve a unit you have already done well in. You are perfectly entitled to switch to a new linear exam for your retake if you want to, but you will of course have to take the entire linear exam in summer 2019. If I Retake A Levels, Will A University Accept Them? Yes, in almost all cases. 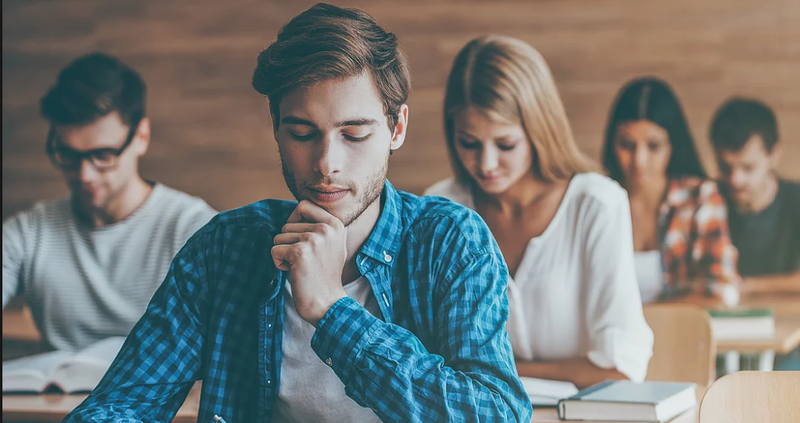 A few will increase their standard offer, but most appreciate that students who resit are highly motivated and, because they have overcome disappointment, will work harder on the degree. Getting an offer is tougher for very competitive courses – medicine for example, or law at Russell group universities. As a first step, ring up the admissions officers for the degree courses you want, and ask them whether they would consider you with resits. Be ready to discuss why you missed the grades and why you know you can do better. They should welcome your enquiry and give you an honest answer. After A-Levels – what next? A-Level A-Level Economics academic After A-Levels biology brain career chemistry Course degree Economics Engineering English exam examinations exams financial financial sector future grammar health iGCSE knowledge learn mathematics Maths memory mind map past papers physics reading research results science sleep statistics STEM study studying study smarter Teacher Technology textbook Training what next?